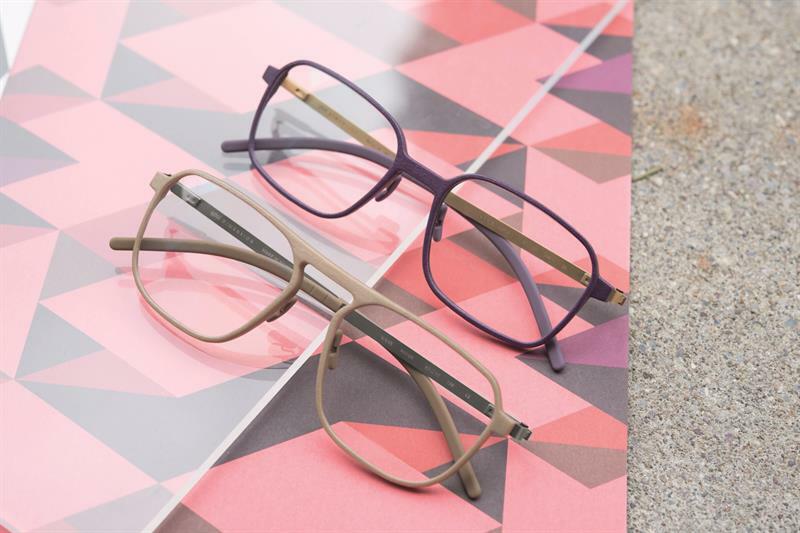 Weight is paramount in Götti’s new 3D printed range of frames. The ultrafine dimensions collection has ‘radically’ reduced previous weights through a ‘combination of revolutionary manufacturing techniques and an innovative design’, says Götti. The Kaan Sand has an off-square front that displays the distinctive detailing produced by 3D printing. A high, flat bridge cuts a sleek line over the top of the frame, while well-built metal hinges run down into plastic tips. The Kalle, shown in ash colour, takes a different approach with a round frame front linked with a flat bridge. The colour gives a minimalist style to the model and the black tips that emerge at the end of the temples give it an aesthetic continuity.